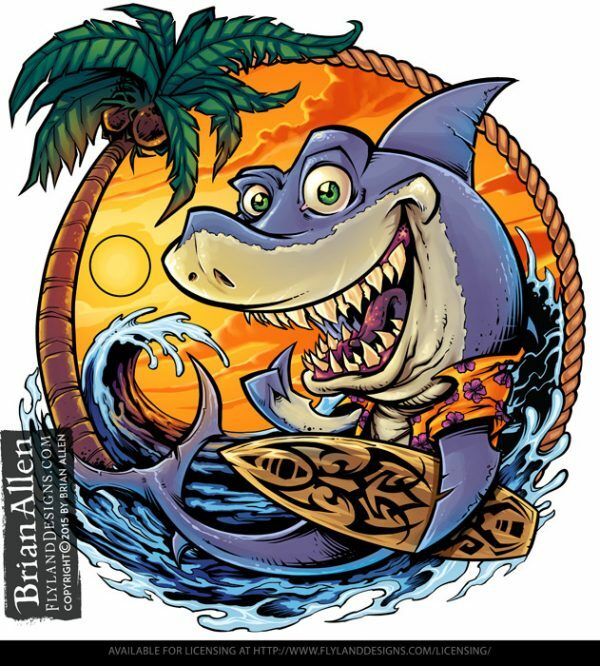 I created this series of beach themed t-shirt templates to license to beach bars, restaurants, surf companies and more. 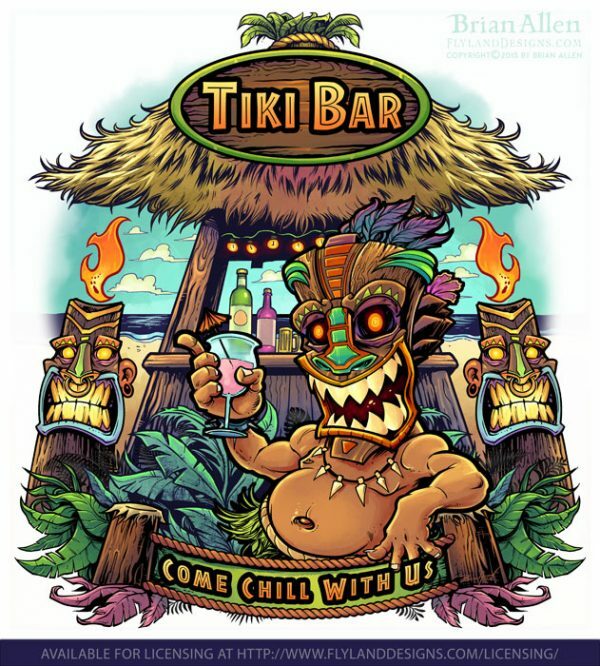 I love the beach and tiki art, and even though I live 5 hours from the closest beach, it’s fun to visit there in my mind! 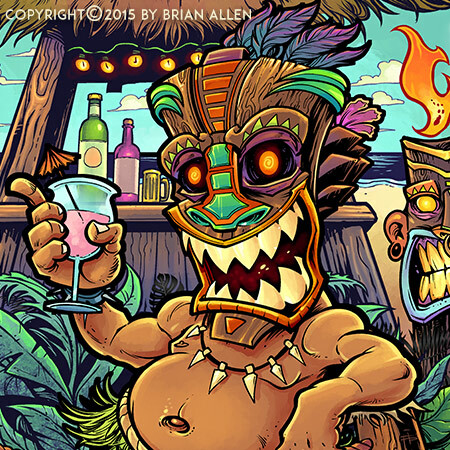 Beach T-Shirt template of a happy tiki chief lounging near a beach bar. 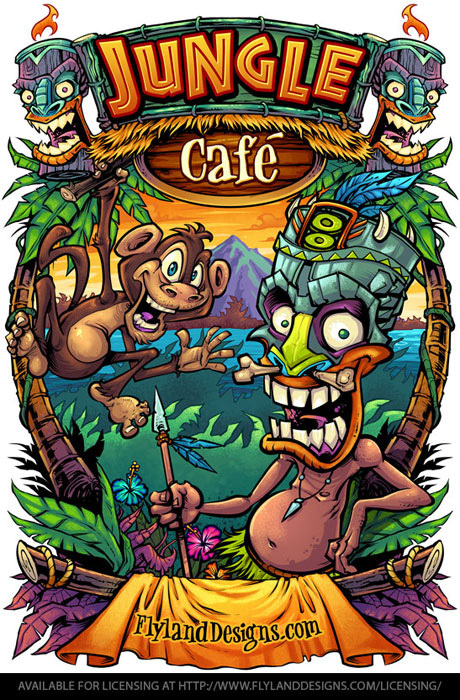 This is a personal design I created of a cartoon jungle illustration of a monkey and tiki man. You can license the artwork here.